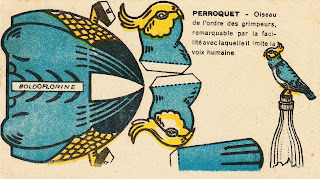 In the middle of the 1800 Pierre Fouché, original of Aude, established a bistrot in Houdan (in the Île-de-France region in north-central France). Fouché became later a wholesale merchant of wines and he soon started to make his own alcoholic drinks. At the end of the Century the company was cultivating several hectares of absinth around Houdan and was distilling it too. 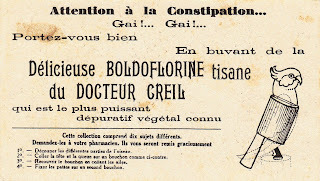 After the prohibition of the absinth in 1915, the production was oriented toward the coltivation of medical plants and and the extraction of the pharmaceutical basic elements. Doctor René-Paul Fouché (1893-1974), first chemist of the fmaily, tried to create new products without making an unfair competition with his clients, the pharmaceutical laboratories, and trying to sell them in the drugstores but for auto-medication. 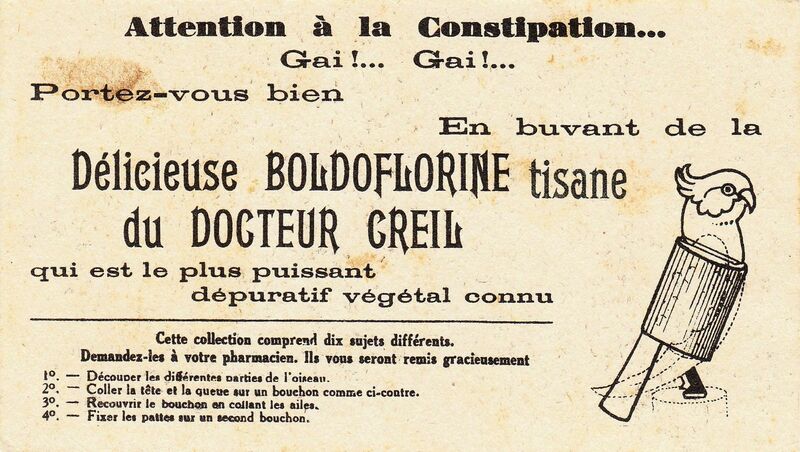 One of the most famous products was the tisane Boldoflorine «the good tisane for the liver», that was invented in 1933 and that had a big success from the 30s to the 70s. 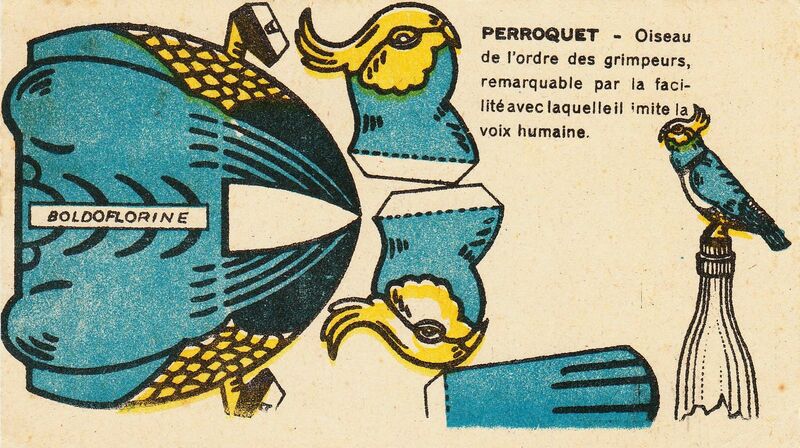 A papercraft parrot to place on the top of the bottle.